Provide comfort for the family of Willecious Moffett with a meaningful gesture of sympathy. 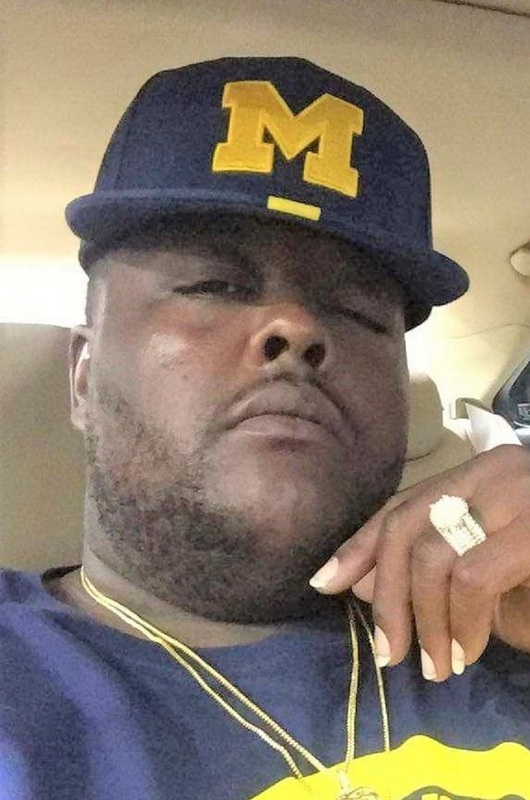 Willecious P. Moffett, age 38, departed this life on March 15, 2019 at U. S. A. Medical Center in Mobile, AL. He was born on August 29, 1980 in Mobile, AL to Sheena Petite Moffett and Willie Pugh. He was a current student of Alabama Barber Academy and had a love for cooking, family and friends. He was preceded in death by his sister, Laneena D. Moffett; grandmother, Bernetta Otis Petite and uncles: Reginald and Phillip Petite, Jr. He leaves to cherish his memories a loving mother, Ms. Sheena Petite Moffett; father, Mr. Willie Pugh; three loving and devoted brothers: Wytiki, Vontaye and Damian Moffett all of Mobile, AL; one sister, Monya Ward of Mobile, AL; four step children: Willie and Anthony Potts, William Sneed and Noreisha Kirsey; four loving nieces: Sheena “Brenae” and Tyana Moffett, Rachel Howze, and Ariane Mosley of Mobile, AL; three devoted nephews: Reginald, Sumner, and Brandon Moffett; six loving nephews: Vontaye Moffett, Jr., Tavion Moffett, Wytiki Moffett, Jr., Rayshun Moffett, Jacaden Grayson and Andres Mosley; five aunts: Estelle Petite McWhorter of Montgomery, AL, Betty Pugh Brown, Beverly Pugh Curtis, Carolyn Armstrong and Susie Williams of Mobile, AL; three uncles: Frank M. Otis, Roger and Randall Petite of Mobile, AL; a special friend, Azgrena Ford, a devoted cousin, Mark Petite; devoted and loving friends, Carlos and Scottie Cunningham, Patrick Packer, Candesha Whitfield, Napangee Irby and Michael Stallworth; a host great nieces, nephews, cousins, other relatives and friends. To send flowers to the family of Willecious Phillipe Moffett, please visit our Heartfelt Sympathies Store. We encourage you to share any memorable photos or stories about Willecious. All tributes placed on and purchased through this memorial website will remain on in perpetuity for generations. Provide comfort for the family of Willecious Phillipe Moffett by sending flowers.